The thing about modern gaming that has frustrated me most is the loss of couch co-op. Fewer and fewer games have included split-screen or local multiplayer, opting instead for online multiplayer only. I'm not sure if this stems from some antiquated idea that gamers are solitary creatures, or a half blind attempt to "connect" players. Regardless of the reason, it's excluding millions of players out there who enjoy games most when playing alongside friends and family. The few holdouts that I've regularly been able to count on for split-screen play dwindle a little every year, and now I've had to cross off a dear old friend from the list. 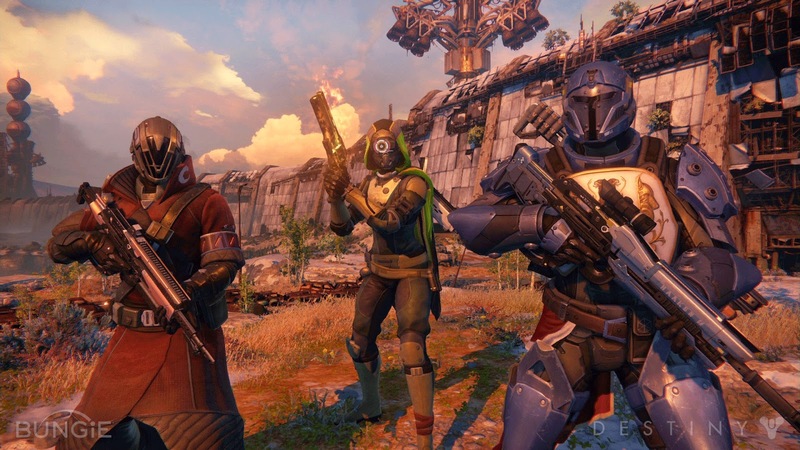 In an interview with Gamespot Bungie has confirmed that Destiny will not support split-screen play at all. This hits my family particularly hard. I've been a fan of Bungie since Marathon. I played hours of LAN games of Myth and Myth II, and traded punches with friends in Oni. Halo was a particular favorite for my wife and I. In fact, it was a series we bonded over. We played through the entire series leading up to the release of Halo 3. It was a spectacular experience for both of us, and to this day, Halo is a go-to game for stress relief and just general quality time play. I understand that Destiny is not Halo. It's an entirely different IP, designed for a much less linear type of play. However, I do not believe that split-screen has been given a fair shake in this instance. It's simply been stated that it is not being supported. The reason mentioned in the interview was that Destiny is more about player freedom, that they didn't want anyone to ever warp to a player or have to play through any content as a guest. All that is fine. I can understand that being an issue for some players, but it doesn't necessitate the removal of the option. Including split-screen is only a value-adding measure. It does nothing to hamper the experience of players that don't wish to use it, and those players that do use it will abide by it's limitations. 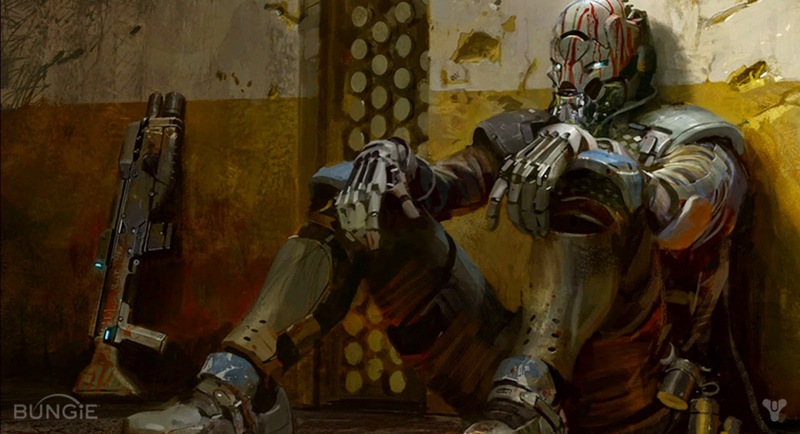 This is the concept art that got me excited to play Destiny. With the news of no local co-op, that feeling is mostly gone. If I'm sitting on the couch with my wife, playing a strike mission, we would be playing it together. Competitive multiplayer, campaign missions, you name it. If we are playing together, we want to be playign in the same area anyway. I'm not alone in this either. Tons of other players, be they couples, friends or relatives relish the local play experience. Connect with Guardians all over the world, except those in the same room. I've always had a love of fanciful sci-fi. The kinds of stories written by Bradbury, Asimov, Burroughs. The illustrations of Ralph McQuarrie and John Harris. 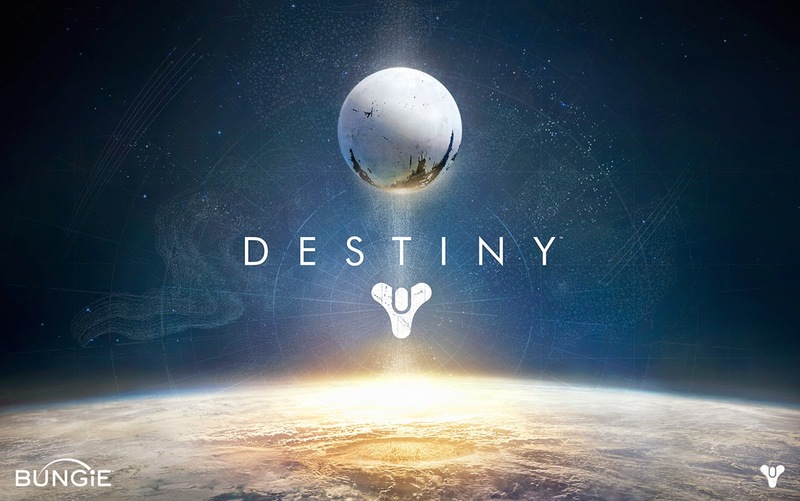 We saw Destiny as a return to those stories and visuals that we both loved. Not being able to play this together puts a large hole in our expectations and our excitement for the game. Again, I'm not alone in this. My opinions are shared and have been shared by countless others. Destiny was at the top of my wish list for a long time. It' a game I've been waiting a long time for but now, so close to it's release, I'm beginning to wonder if I'll be buying it at all.